hello, i hope you all had a lovely weekend. 1. i got new sheets. patterns everywhere. ya like? is telling you i got new sheets TMI? probably. they're just so happy, that's all. plus, look at mika's little kitty profile. 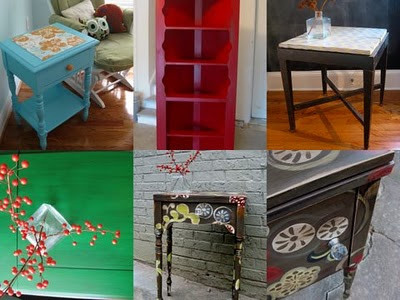 2. i'm making a mailing list for my furniture. when i have new pieces available, i will send an email update to everyone, before posting them on facebook (my FB page) or twitter, or on here! if you would like to be added to my mailing list, please email me at kristen.fountain@gmail.com. Love all the patterns and the color scheme of your new sheets! Fun! 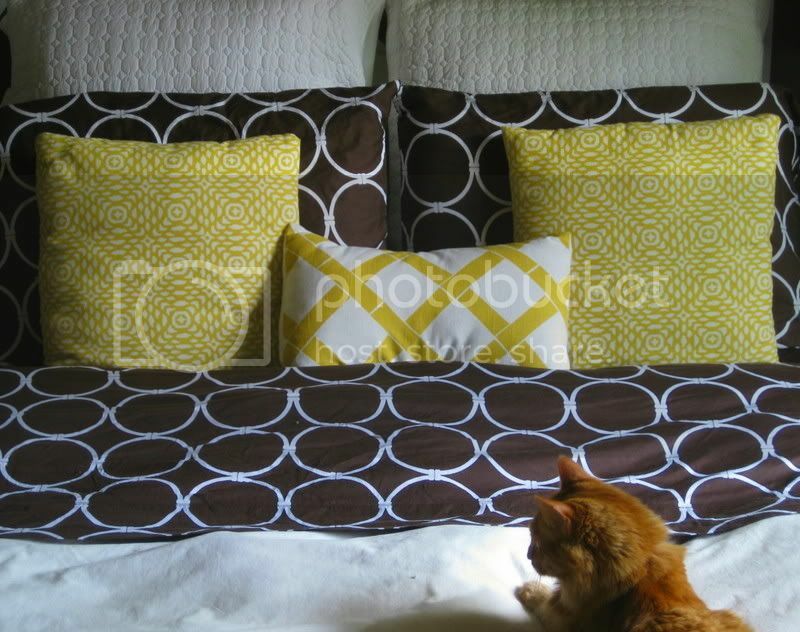 Love the patterns on your bed! I've been trying to bring some more pattern in my life. But it's hard cuz I'm so indecisive--especially on such 'important' decisions as pillows! I'm going to start on some new artwork for our living room and I'm definitely going to incorporating some pattern in. I've actually been looking for patterned sheets just like that to turn into curtains. Mind sharing the brand name, and if purchased in a nationwide chain kind of store, the name of the store, so I have a starting point for my search. I've really had a difficult time finding graphic patterned sheets.